The wonderful Trishul Smith mentioned how great cacao liquor is sometime ago. 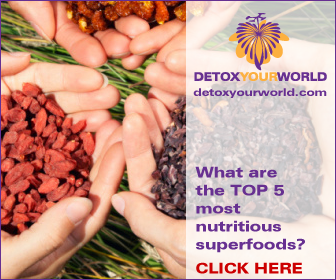 I only recently got some from the equally wonderful Detox Your World. Now this is not only expensive, all lovely raw cacao is, it’s also very, very special. Even calling it a superfood is probably doing this stuff a disservice! Ha! It arrives in a packet but looks like big brown chunks. Probably, because it is big brown chunks. But these cacao liquor chunks are chunks of lushness and, in terms of raw chocolate as instant as you’ll get. Of course, you won’t get instant chocolate as you do have to melt this gear in a bowl immersed in boiling water. However, cacao liquor melts much easier than cacao butter and has the advantage of containing a certain amount of cacao powder. It’s a bit like a combination of the two. I’ve been making raw chocolate for a while now. With great success, even if I say so myself. The thing is the ingredients are always of such high quality it’s difficult to go wrong. If it’s too sweet add more cacao powder/butter if it’s too strong and some coconut oil (raw, organic of course) to take the edge off and if you need to add some more sweetener…It’s not rocket science. Keep tasting it and you will end up with something fantastic after a bit of chilling. The chocolate needs chilling, that is, it’s good fun making the stuff. I do think you have to try to mess it up. But I digress. The only recipe for cacao liquor that I had when this fantastic stuff arrived was to use it in hot chocolate. I was told by two very trustworthy people that this would blow you away. But it was too hot so I made a chocolate milk shake with it instead. Melt the liquor in a bowl in boiling water – easy peasy. While waiting blend avocado pieces with the soy milk. Add the liquor. Scrape the remnants out of the bowl and add it to the mix. Then put some milk in the bowl and vigorously mix to get as much out as possible – this is precious gear! And ta-da, you have the most amazing tasting shake you’ll ever experience. To say this stuff rocks is an understatement. I made this twice, to get through the soy milk. Brilliant. Instead of sukrin – a plant based almost zero calorie sweetener – you can use agave, date syrup, coconut sugar or even white sugar if you insist. But when you’re using top ingredients why pollute? Adding a second avocado would turn this shake into a straight dessert, like a chocolate mousse. The only difference being that this is rammed with good guys. Okay so what’s so good about cacao? So what are you waiting for get some raw chocolate – see Trish – or order some cacao liquor and make some raw cacao liquor shakes or even desserts! You will not be sorry. Although I said it is expensive a 100g pack costs less than a pint of beer and the quickness of the melting makes it a fast way to get real raw chocolate. This entry was posted in Epic Martial Arts Academy and tagged cacao liquor. Bookmark the permalink.